Headaches are some of the most common ailments faced by hundreds of thousands of people across the nation and they can be truly debilitating. 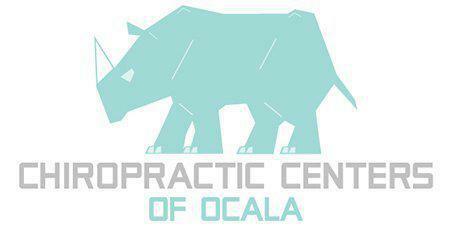 At Chiropractic Centers of Ocala, Dr. Chris M. Pell, DC treats tension headaches, migraines, and a range of other ailments for patients throughout the Ocala, FL, area. Ninety percent of Americans across the country suffer from headaches, either occasional or chronic. Occasional headaches that go away are usually nothing to worry about but when they are persistent, they can interfere with people’s daily lives. There are many causes for headaches. They can include diet, environmental causes like bright lights or loud noise, stress, lack of sleep, being out of shape, or more serious health conditions and illnesses. The majority of headaches are related to tension or are migraines, and most of them are the result of tension in the neck. There are a number of things that can be done to prevent headaches. Moving around and stretching every half hour or so, especially if long periods are spent in a single position, can help. In addition, regular low-impact exercise such as walking can help. Avoidance of clenched teeth and jaws, keeping hydrated and maintaining proper diet and fitness are all excellent ways to avoid headaches. Spinal manipulation is perhaps the primary means of treatment used by chiropractors. Certainly, it is the means with which they are most well-known. This can be very effective as a treatment option for headaches originating in the neck and related to tension. Recent studies indicate that chiropractic care is an excellent way to relieve tension and migraine headaches. Doctors of Chiropractic may treat headaches using spinal manipulation and adjustments, which can improve the function of the patient’s nerves and relieve systemic stress. They might also recommend dietary adjustments and possibly vitamin supplements to help the patient’s body achieve proper balance, and can help them achieve optimum posture to reduce stress on their system. Chiropractors are trained, licensed medical professionals who use non-invasive and safe methods of addressing health and wellness issues. Chiropractic Centers of Ocala have safely treated many people with headaches and helped them to achieve wellness and balance in their lives once more.